Donate here for Monumental Yoga! Indy's largest annual yoga event! Indianapolis loves yoga. 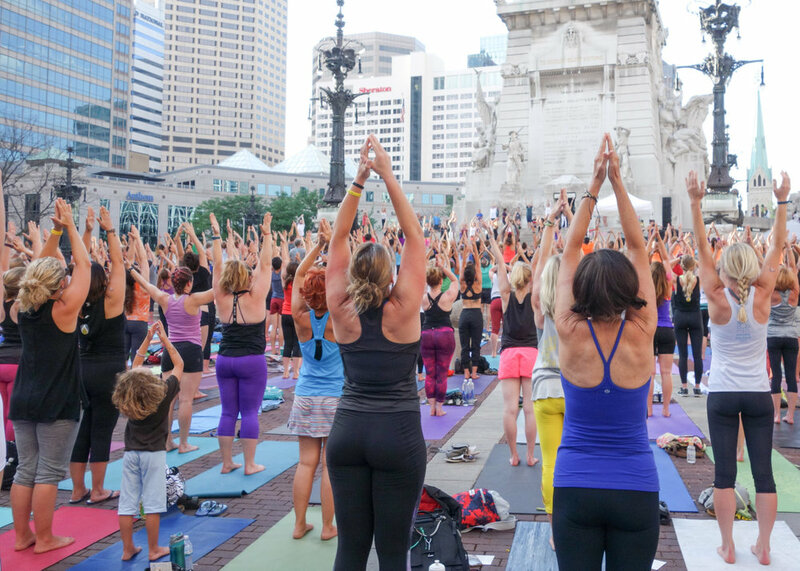 To celebrate our love for this ancient practice, this year’s summer solstice and the United Nations International Day of Yoga, the Circle City is hosting this event on Monument Circle, which will come alive with yogis of all different levels. This is a donation-based class for Indy Yoga Movement! This 6th annual event encourages new and advanced yogis alike to participate. Participants should bring their own mat and a water bottle. Instructors will be scattered around the Circle to help with basic yoga postures.